The soft cartilage of the ears is organized to grow according to a genetic plan that was laid out before birth. 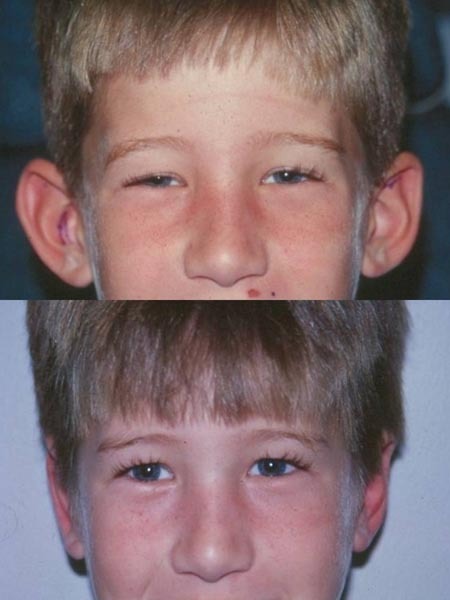 Sometimes chronic positioning of the ears as early as the infant nursing years (sleeping and feeding can cause chronic folding), or wearing certain hats for many years, can cause dissatisfactory changes in ear appearance. Ear shaping, sometimes called “ear pinning” or otoplasty, is for men, women and children who are not satisfied with the size, shape or the position of their ears. By undergoing ear surgery, patients can achieve their desired ear shape and contour. Otoplasty involves reducing the size of the ear cartilage and removing the excess skin, as well as positioning the ears closer to the head. 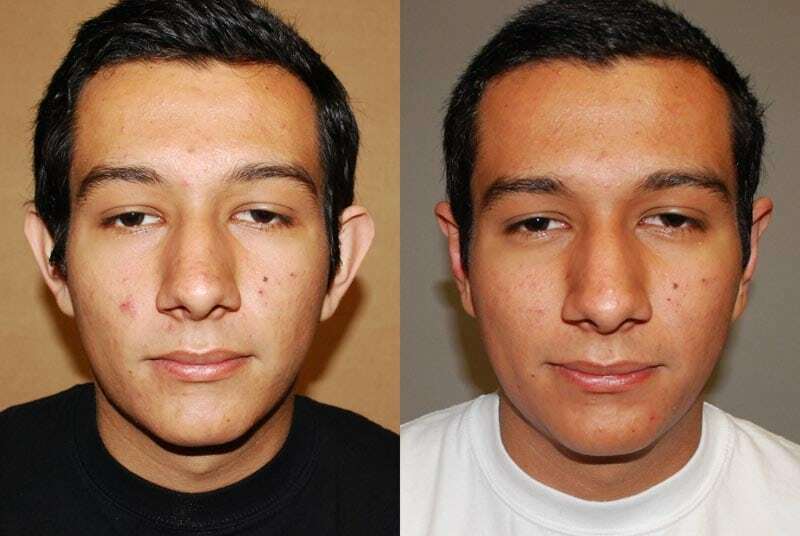 Otoplasty sometimes can be performed as a minor procedure under local anesthesia. If more extensive work is required, our ear surgery patients receive general anesthesia and are asleep during the procedure. Coastal Plastic Surgeons are proud of our aesthetic otoplasty work, and we strive to deliver the best possible results for all of our San Diego plastic surgery patients. Dr. Batra is pleased to have helped numerous rhinoplasty, facelift, and ear surgery patients achieve a more harmonious appearance. Offering a range of facial rejuvenation procedures, he is also renowned as the foremost San Diego brow lift, eyelid surgery, and neck lift expert. 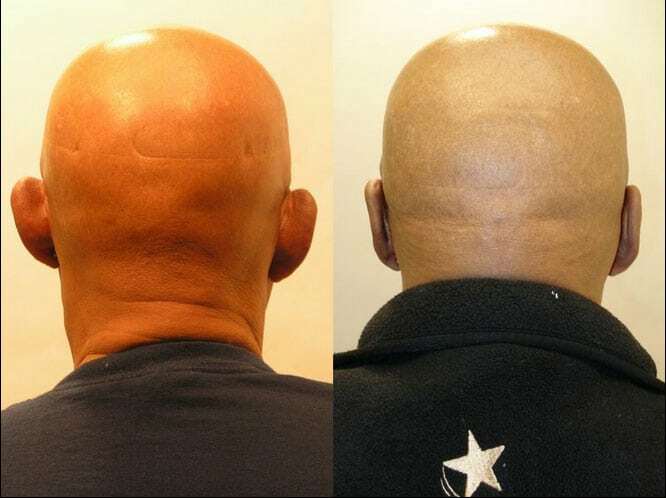 This is a 57-year-old male who wanted facial rejuvenation and to have his ears surgically pinned back. 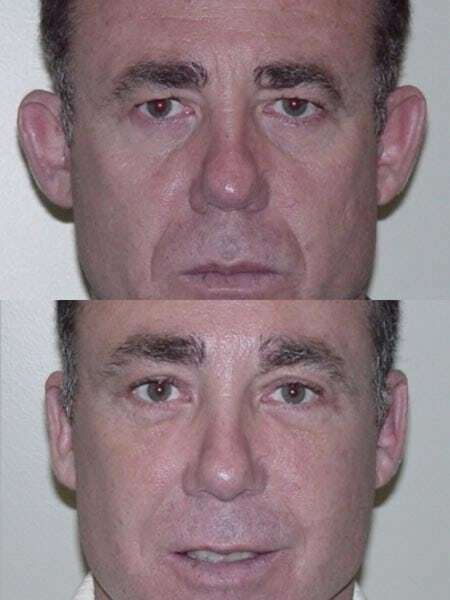 He underwent a facelift, a neck lift, rejuvenation of the eyes and brow lift, as well as an upper lip blepharoplasty. At the same time, an otoplasty was performed to pin his ears back. This photograph was taken six months after the procedures. Overall, the patient has an excellent outcome and is very happy with the result. This is a 17-year-old male who felt that the top portions of his ears were too prominent. He underwent otoplasty procedures pinning back of the upper portions of his ears, as well as bringing the entire ear back, more on the left side then the right, for symmetry. This photograph was taken six months after surgery. The patient has a very nice outcome and is very happy with his new look. This 7-year-old boy was brought in by his mother because of severe teasing at school over the last year because of ear deformity. He underwent an operation lasting approximately one hour, correcting his prominent ear deformity. This photograph was taken approximately one year after the procedure. His ears remain in good position and he and his parents are very happy with the outcome. 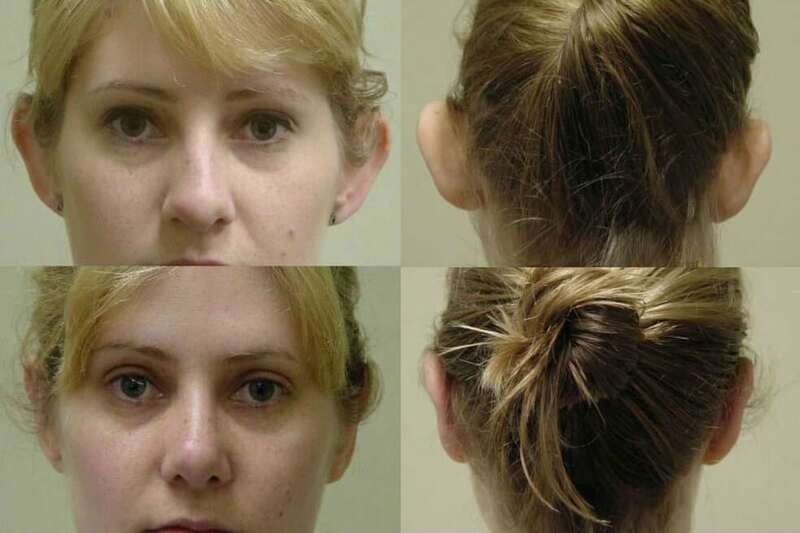 This is a 22-year-old female who felt that she could not wear her hair up without her ears protruding out and forward. She underwent otoplasty and modification of the tip of her nose, performed at the same time. As you can see in the post-operative photograph, her ears are revised nicely with pinning, and she is able to wear her hair up without her ears appearing prominent. This 63-year-old male desired to have his ears pinned back before performing in a movie he was involved in. He underwent an otoplasty without complication. This photograph was taken three months after surgery, showing good symmetry and setting back of the ears.